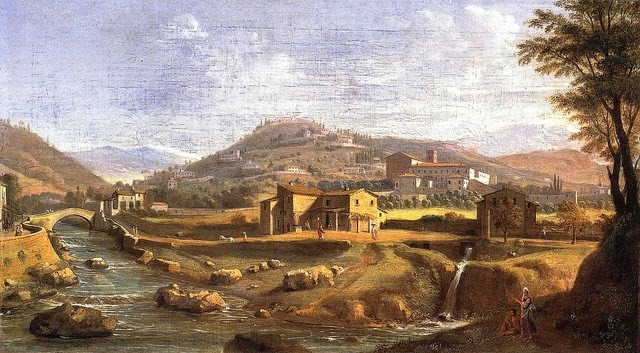 There were dozens of practicing orders in and around Florence at the time and none of them present an obvious fit for a group that would be engaged in the education of a young alchemist. Contemporary records yield a handful of clues, each with its own set of merits and problems. Here we will take a closer look at just one of those possibilities. 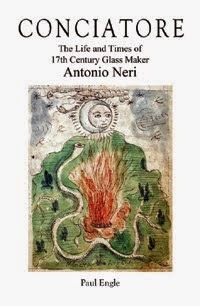 In 1614, at the age of thirty-eight, Neri apparently died rather suddenly, of a cause that is not known today. Folklore tells that he had previously promised to reveal the recipe of the philosopher's stone to his sponsor, Prince Don Antonio de' Medici. The 'stone' was conceived to be a substance with miraculous powers including the ability to transmute base metals into gold and to cure disease. The story tells that Don Antonio was delayed in coming to Neri's side and the secret died with the priest. Here the evidence takes a twist. While Vanda was the parish priest at Badia Fiesolana around the time of Neri's ordination, the monastery itself was run not by Carmelites, but by Canons Regular of the Lateran,  an Augustinian sect. The two orders are unrelated and report through different hierarchies. Why a Carmelite should be leading an Augustinian  institution is not clear. However, the abbey was heavily patronized by the Medici family. They paid for extensive construction, renovation and expansion projects dating back to the fifteenth century. When the bishop of Fiesole moved to a new cathedral in 1439, the abbey was given to the Canons. If Neri did serve his initial training for the priesthood here, his novitiate, perhaps his career was already under Medici direction. In earlier times Cosimo the Elder and Giuliano de' Medici had private contemplation cells at the abbey. The Medici funded library there had been a long-time meeting place for humanist intellectuals, as was the Medici Villa half a kilometer away. Marsilio Ficino and others met there regularly. Giovanni Pico della Mirandola, a student of Ficino and a friend to Savonarola, was sheltered by Lorenzo de' Medici in a nearby house. Pope Innocent VIII would have rather seen him tried for heresy, but the pope allowed the Medici to harbor him under special considerations. The way of life of the Canons Lateran is a good fit for Neri. Their houses were self-governing. They followed the rule of Augustine of Hippo independent of the main Augustinian order. The Priests did not serve congregations. They acted independent of each other; they went into the world and did physical work with the laity. There is no ready evidence implicating the canons at San Domenico in the practice of alchemy, which makes them a less attractive possibility for Neri. However, their specific mandate was to relieve the suffering of the sick and the poor. This mission would have been satisfied with ease by producing medicinal remedies at Don Antonio’s Casino. Florentine Archdiocese records prior to 1650 were destroyed in a fire. See Zecchin 1987–89, vol. 1, p. 169, note 12. Casa 1614. Cf. Galluzzi 1982, pp. 53, 54. See Grazzini 1983, pp. 217, 218. Not to be confused with San Pier Maggiore, Neri's childhood parish church. See Galluzzi 1982, p. 53; Casa 1614; cf. Grazzini 1983, pp. 217, 218. AOI 1587–1591, cf. Butters 1996, pp. 415, 416. I have not been able to find any other reference to Benedetto Vanda, which may not be his birth name, but one chosen when he joined the Carmelites. The Badia Fiesolana [Abbey of Fiesole] is located in San Domenico, about halfway between Florence and nearby Fiesole. The Canons Regular of the Lateran (C. R. L.), their full title is Canons Regular of St. Augustine of the Congregation of the Most Holy Savior at the Lateran. They occupied the monastery from 1440 until 1778. Although ancient in origin, the Canons Regular of the Lateran adopted the rule of St. Augustine of Hippo. The two groups did share use of the liturgical 'Carmelite Rite' practiced at mass. Canons lateran Matteo Bosso, see Mutini 1971; Timoteo Maffei see Moroni 1879. The canons hosted humanists Pico della Mirandola, Angelo Poliziano, Roberto Salviati, Demetrio Calcondila, Marsilio Ficino and Lorenzo de’ Medici. *This post first appeared here 12 Nov 2014.